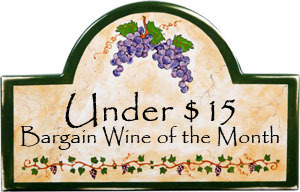 Synopsis, Our Opinion: Another Paolo Petrilli wine we unconditionally recommend. Producer/Winery: Paolo Petrilli; Lucera, Italy. 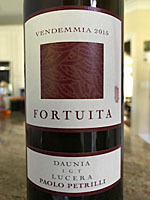 Grape Variety: Blend – Montepulciano, Aglianico, Sangiovese and Nero di Troia. Geographic Appellation, Region, Country: Daunia; Northern Puglia, Italy. Paired With: Eggplant Parmesan made with homemade roasted tomato sauce and a garden salad. Opened one hour before drinking. Clear, garnet color with the same color rim. Powerful damp earth, cherry and plum aromas with hints of chocolate. Smooth mouth-feel, bone dry, light (but weighty) body and 200-grit texture. Cherry, raspberry and plum flavors. Bright acidity, soft round-edged tannins with just a slight grip and a long DRY, fruity finish. WOW, wonderful freshness that’s balanced perfectly with the fine grained tannins. Smooth and very drinkable Italian red that was perfectly paired with the eggplant Parmesan, but with it’s smooth mouth-feel was a great sipping wine too. We’ve had several of Paolo Petrilli’s wines now and it’s noteworthy to say we have found all his wines to be OUTSTANDING quality and EXCEPTIONAL values. 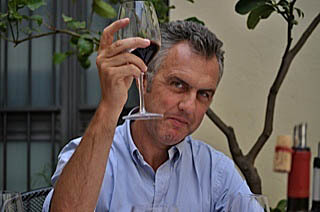 I can’t think of any other producer that we would give a four thumbs up rating to all of their wines!!! And, this is another Paolo Petrilli wine we unconditionally recommend. Comments: Learn more about Paolo Petrilli and his wines. 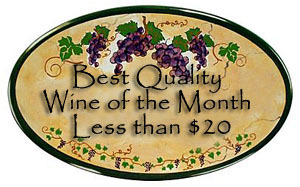 See also: our review of other Paolo Petrilli wines.